Room rates include all taxes, buffet breakfast and internet. Douglas Reeves| How Can You Be Creative in a Standards-based Environment? Susan Grant| The Neuroscience of Language Acquisition: Stumbling Blocks to Learning - Identifying the "Warning Signs"
Educators attending the Spring Educators Conference have the opportunity to obtain one, two or three semester graduate credits from Buffalo State, State University of New York (SUNY). 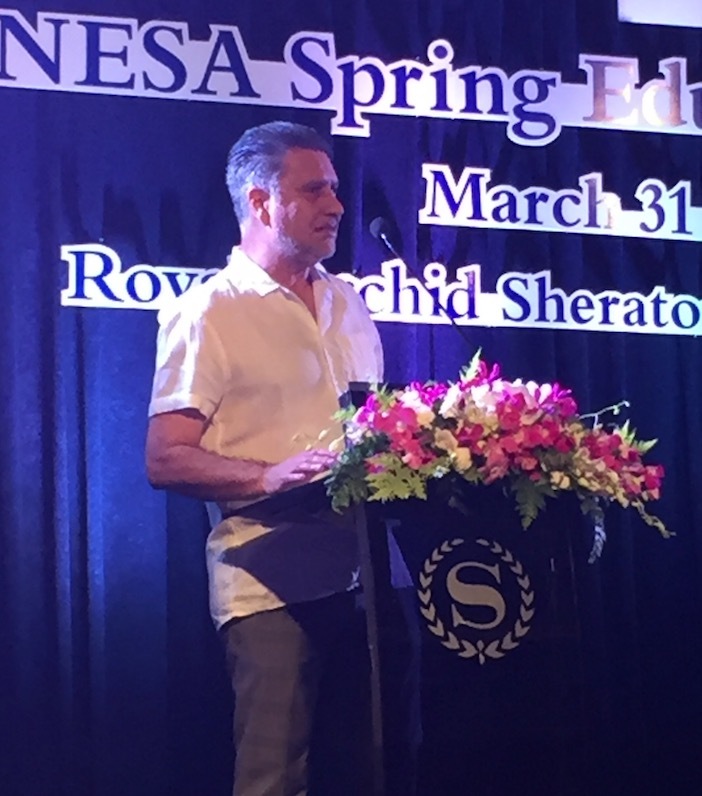 NESA educators returned to exotic Bangkok and the warm hospitality of the Royal Orchid Sheraton along the Chao Phraya River for three days of collaborative professional learning, March 31-April 2. Delegates attended inspiring keynotes, half-day specialist sessions, teacher-led workshops (from a choice of 35!) and several General Interest Workshops presented by NESA affiliate organizations. Many delegates attended multi-day workshops during the SEC: "Adaptive Schools" (4-days) and "Literacy-Foundation Courses in Writing" (3-days: Grades K-2, 3-5, 6-8). Additionally, several preconferences were offered prior to the SEC: two-day AERO preconferences in English/Language Arts, Mathematics and the Next Generation Science Standards (NGSS); and one-day preconferences in "Student-Centered Coaching" (Diane Sweeney), "Special Needs for Specialists" (Susan Grant), and "Google for Education Certification Bootcamp" (Wendy Gorton). The keynotes appealed to all levels and disciplines: Douglas Fisher and Nancy Frey(sponsored by International Schools Services) opened SEC Friday morning with "Visible Learning for Literacy" where they applied John Hattie's research to literacy learning. On Saturday, Douglas Reeves laid out how creativity can be taught and learned in "Teaching Creativity in a Standards-Based World: Exciting Possibilities and Practical Applications". NESA's Professional Development Advisory Committee (PDAC) designed a balanced program of professional learning with four-hour specialist workshops each day of the conference, ranging from creating thinking classrooms, formative assessment and feedback, background knowledge and comprehension, and identifying warning signs/assessing the 'risk markers' for learning, to U Theory, research projects, grading and reporting, student-centered coaching and creating conditions for creativity to flourish. NESA affiliates also presented General Interest Workshops, and NESA educators led 35 workshops for their peers over three days. Sunday morning's plenary, "NESA: Celebrating the Journey", marked another step in NESA's transition as David Chojnacki, after 21 years at the helm, steps down as Executive Director June 30 and passes the leadership to Madeleine (Maddy) Hewitt, now at The KAUST School-Saudi Arabia. 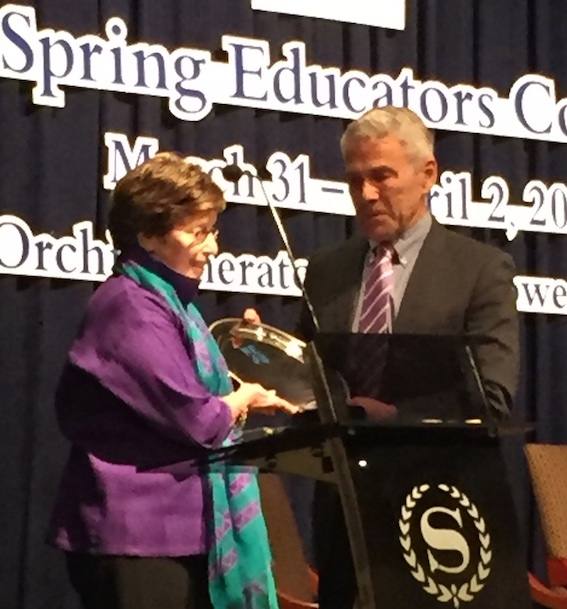 This special keynote was a chance for all of us to reflect on and celebrate David and NESA, and featured videos of NESA friends past and present. NESA Board President Rose Puffer (ISOI-Islamabad) presented David with an engraved silver tray, and Maddy and David addressed delegates. 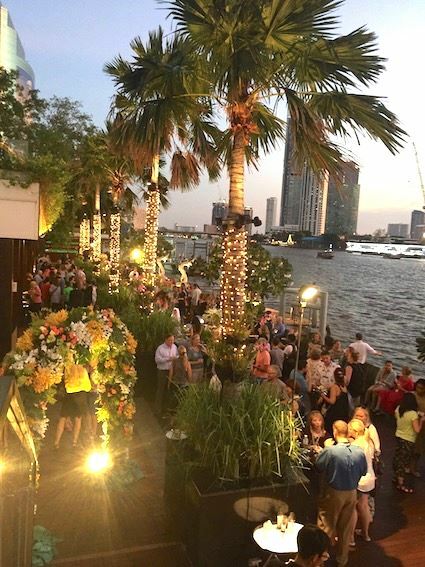 As NESA is known for blending the professional with the personal, delegates mingled at Friday's outdoor Welcome Reception on the Sheraton's Riverside Terrace. Saturday evening's Gala in the Royal Orchid Ballroom was dedicated to honoring and celebrating David Chojnacki. 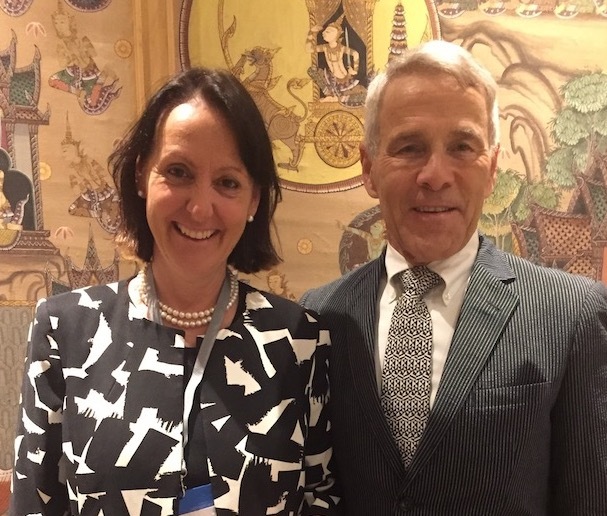 Three NESA educators gave moving tributes, highlighting how David and NESA have touched their professional and personal lives: Robert Givich (AES-New Delhi), Meeka White (AISR-Riyadh), and Katrina Theilmann (ASD-Doha) [read Bob's speech]. Traditional Thai dancing and puppet performances followed, then everyone flooded the dance floor to celebrate! See the SEC Gallery for great SEC photos! Mark your calendars for next year's SEC: March 30-April 1, 2018, at the InterContinental Hotel in Athens, Greece!